"The crazy thing is, you're not crazy." Girl Interrupted is a 1999 drama film based on the 1993 memoir by Susanna Kaysen. The film stars Winona Ryder as Susanna Kaysen. The supporting cast includes Angelina Jolie who won the Academy award for best supporting actress for her performance in the film as the sociopath Lisa Rowe. Whoopi Goldberg, Vanessa Redgrave and Brittany Murphy also star in the film. The year is 1967 and 18 year old Susanna overdoses on aspirin then unintentionally checks herself into Claymoore Hospital. Susanna becomes friends with several other patients in her ward. Then Lisa, who ran away from the hospital, returns to the ward. Susanna and Lisa become very close friends. Lisa manipulates Susanna into causing trouble and resisting therapy and encourages her to stop taking her medication. Susanna becomes so dependent on Lisa that after Lisa is taken to see the doctor and does not return Susanna, who is diagnosed with borderline personality, becomes depressed. Girl Interrupted is a 127 minute English language film. 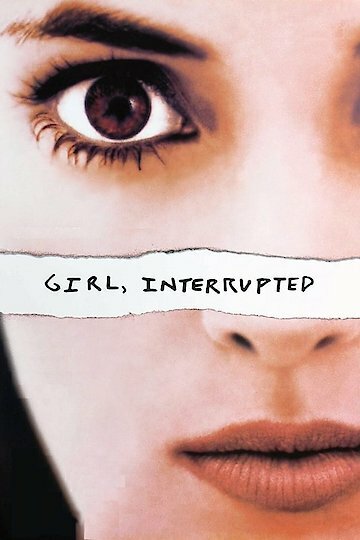 Girl, Interrupted is currently available to watch and stream, download, buy on demand at Amazon Prime, Starz, Amazon, Vudu, Google Play, FandangoNow, iTunes, YouTube VOD online.